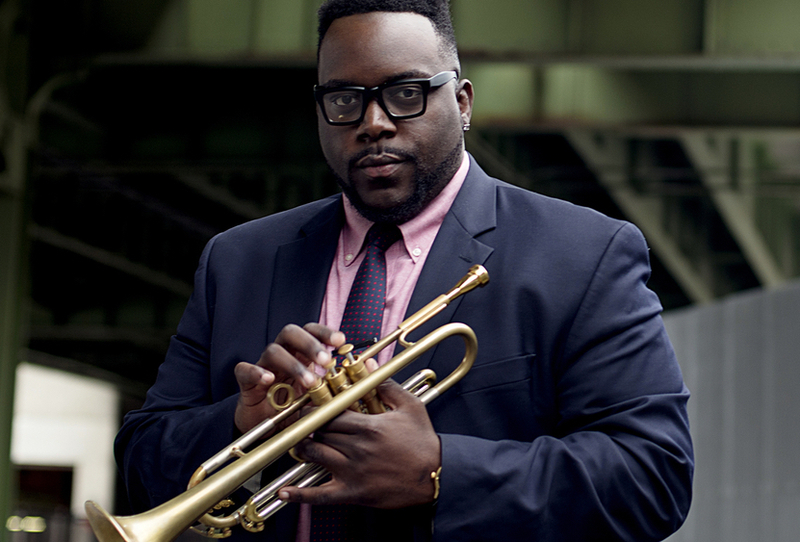 Marquis Hill is widely recognized as one of the most important trumpet voices of his generation and a rising star on the jazz scene. In just the past few years, he has won two prestigious competitions: the International Trumpet Guild jazz competition (2012) and the Thelonious Monk International Jazz Trumpet Competition (2014). Although now based in New York, Hill is a Chicagoan from the South Side, who credits many of that city’s great artists for helping foster his development. Players like Von Freeman, Bobby Broom and Willie Pickens just to name a few. 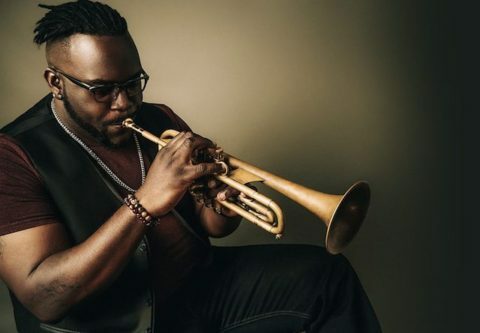 He leads the exciting Marquis Hill Blacktet which NPR says is a “a snappy working band full of catchy melodic ideas,” and which The New York Times calls, “an elite, post-bop unit.” The Marquis Hill Blacktet feat. 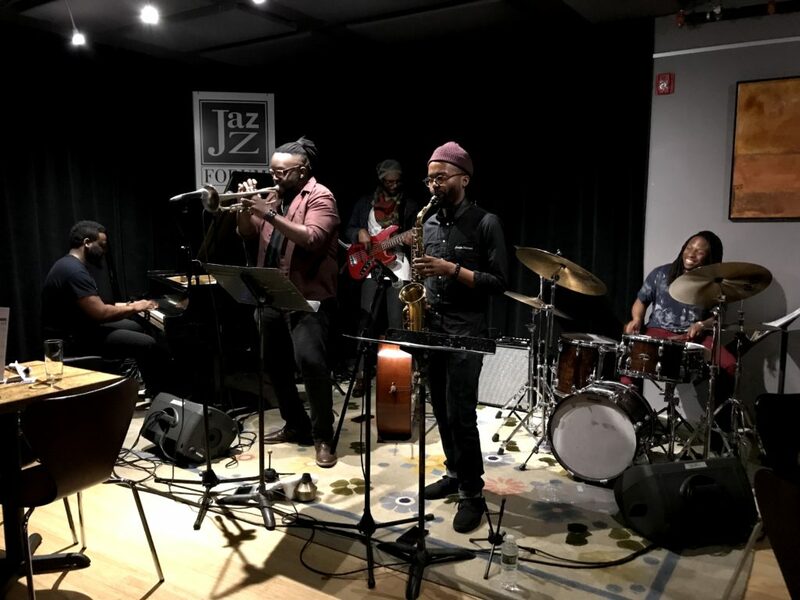 Marquis Hill, trumpet, Christopher McBride, alto saxophone, Justin Thomas, vibes, Joshua Ramos, bass and Makaya McCraven, drums performed at the Jazz Forum on Friday, April 6 and Saturday, April 7 at 7 and 9:30 pm at both nights. Salina: How did you come to play the trumpet? Marquis Hill: I started playing trumpet in the fourth grade. My elementary school band director, Diane Kneelers, gave me my first jazz CD in the fourth grade — it was a Lee Morgan record. I took it home, listened to it, and my mind was blown. From that moment, I fell in love with this music and I’ve been playing it since fourth grade. Before that, no jazz, just Motown soul, 60s and 70s. That’s what my mother raised me listening to. But of course, I make the connection between the two forms of music. Salina: What would you like to say to your fans? Marquis Hill: Support. Support live music. Support the art form. We live in crazy times and music is the outlet to touch and heal people, and that’s what I try to do with my music onstage with my band members. So I will just say to my fans: support good music and continue to heal through music. Salina: What do you think about this club? Marquis Hill: It’s a beautiful club. It’s quaint. It’s small. It’s intimate. It’s a beautiful club. Small town. I think it’s a great addition to a town like this and to the area. Actually I have buddies from New York City who drove up to the concert.